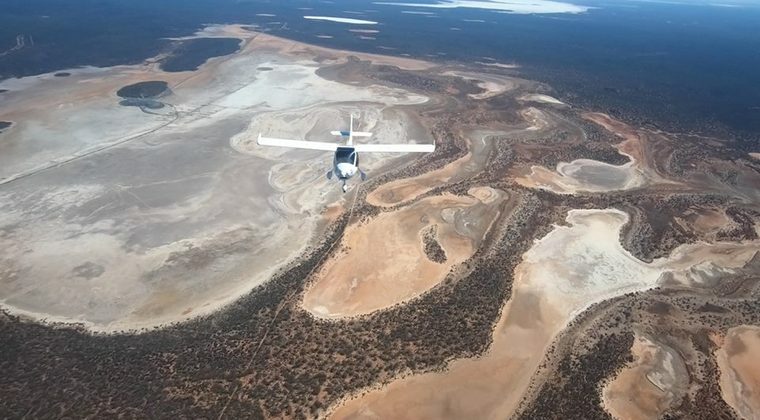 The future of the Handiflight around the World flight hung in the balance after the tragic accident that killed South African pilot Mike Lomberg the organisers of Handiflight have decided to continue the trip across Australia and on to New Zealand. 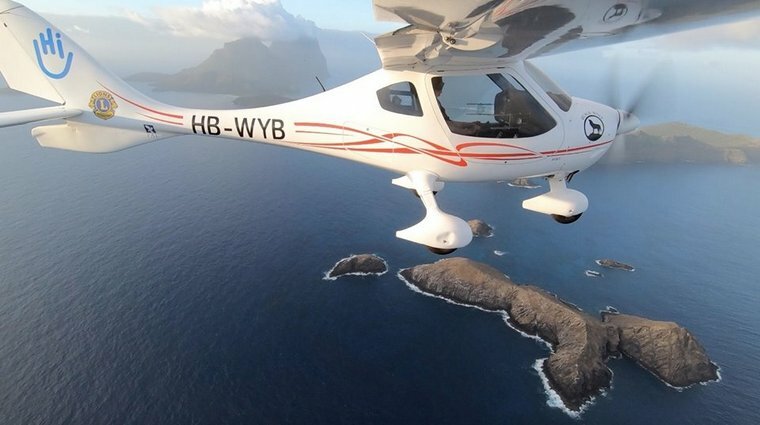 Fifty-two-year-old Frenchman Eric Dabas is going to take over and fly the specially adapted CTLS for this leg of the journey which, if a new main sponsor is not found may also be the final leg of this epic adventure that started in Switzerland in November 2018. That Eric would eventually fly was a given. His father was a pilot with Air Algeria on DC3s and DC4s and his mother an air hostess. They got to know each other when one of the airline's DC-3 broke down in the desert. Prior to his civilian career Eric's father was in the air force. In 1947 he served in Indochina flying the King Cobra, P47, Spitfire, Bearcat and others. Later on he went on to fly the medical evacuation C97, the Transall and other types. His father's uncle, born in 1900, was in the Army Air Force. He died during an air display in 1925. Before Eric's motorcycle accident in November 1983 he was training for a professional qualification as a heavy vehicle driver. Later on he went back to school, passed an exam equivalent to the literary Baccalaureat, and then did five years of piano, drawing, and the first year of a Higher Education Diploma in Plastic Arts. Aviation came into my life in 2002 during an air show in Cuers. 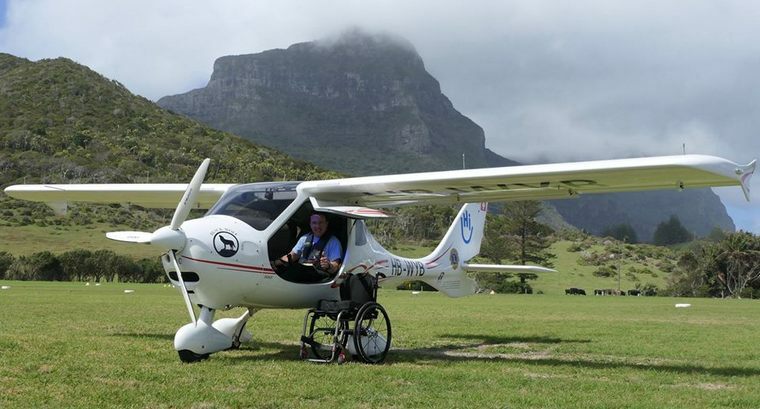 The President of the Castel Mauboussin Association, Luc Adrien, was at that time offering the opportunity to disabled people to reintegrate in the field of aviation by obtaining a private pilot's licence for airplanes (PPL A). From that date on, a series of events was triggered. He obtained his PPL in 2003, and did the first of his eight seasons of wildfire monitoring in Cahors. 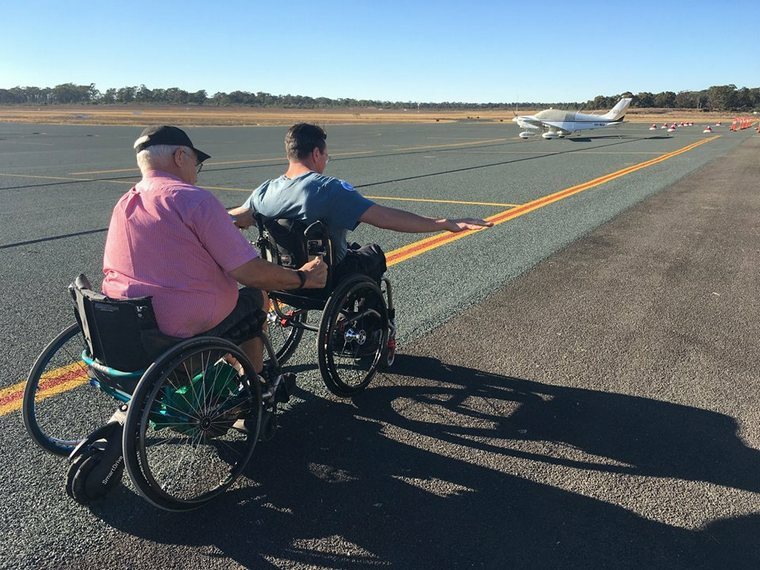 In 2004, he went to Air Cara�bes for a week to study how feasible it was for a person with restricted mobility (PRM) to work in an airline environment. In 2006, Eric obtained his CPL. For a while he worked at Atlantic Air Lift in Nantes as a transit handling agent. In 2008 he was hired by Air Marine, a gas and oil pipeline monitoring company, as a professional pilot flying the Cessna C177 RG. 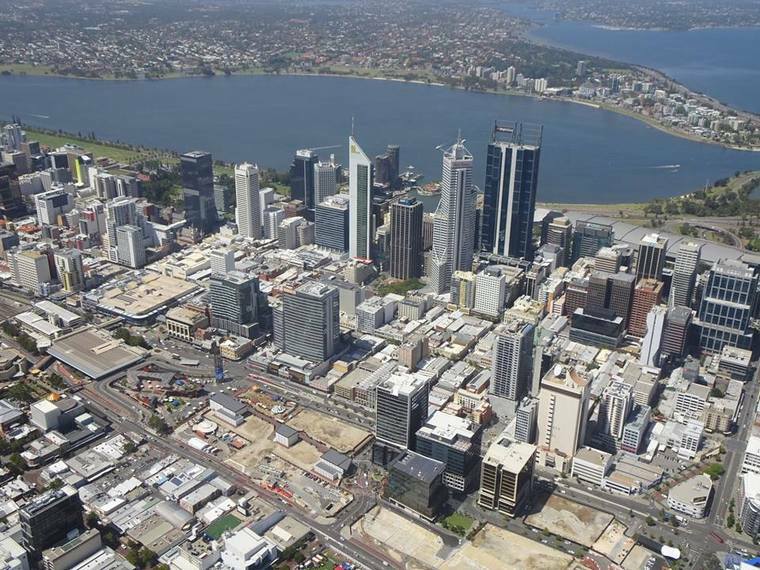 He did 300 hours of low-level monitoring, flying at 500 feet above ground level. In 2010 he got his glider pilot's license at Vinon-sur-Verdon, as well as a rating for glider-towing. In June 2011, I did a 3-day sea survival training course (C100) with the customs authority in Martigues. Since 2012 Eric has been working for the French Ministry of Defence as a System Operator Instructor on the simulator for the Dauphin/Panther and the NH90 Navy helicopters. 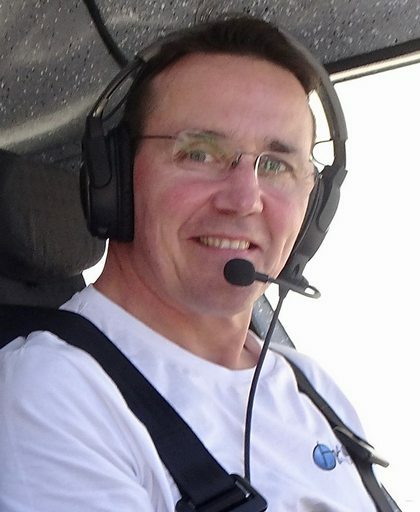 In 2013, he qualified as a flight instructor on the Cessna C177RG. 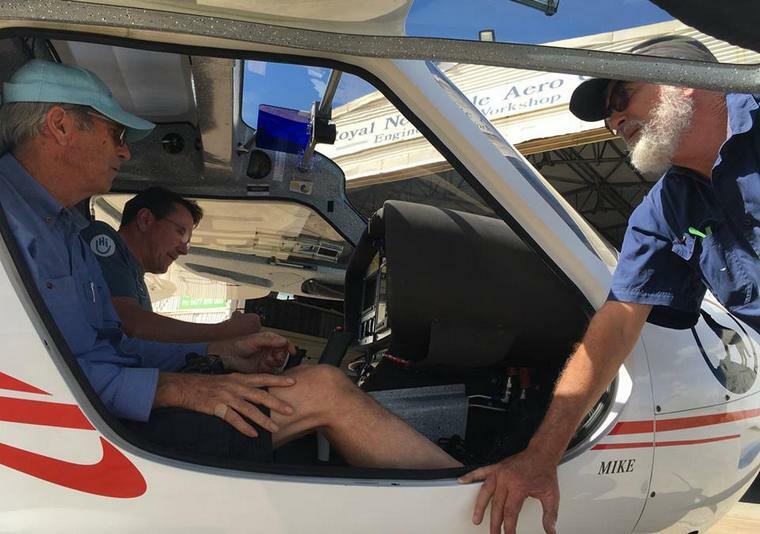 His most recent fun flying was on the 2018 Lat�co�re Rally, where he flew an adapted PA28 with another disabled pilot (so the entire crew was disabled). "The Handiflight Around the World project is a magnificent idea. Linked to Humanity & Inclusion (Handicap International) it shows solidarity with the most vulnerable people, opens our eyes to prejudices related to disability and offers hope to people with disabilities, encouraging them to dare to realize their dreams. I have often found in my own experience that non-disabled people can be embarrassed or even afraid of my disability when they first meet me. This fear disappears completely once we have started talking and making jokes. This much-needed communication, once it takes place all around the world, will I hope bridge the gap between the worlds of disabled and non-disabled people, bringing about a better understanding and a real change of viewpoint. Being offered a second chance to make the most of one's talents in life is the only thing that really helps people to regain their dignity and inner peace, and will be beneficial to everyone. This project brings together all this longing for inclusion, and this is why I will be very honoured and happy to make a modest contribution to this adventure by sharing my passion and my experience." Eric said in an interview before departing for New Zeeland. Setting out they headed east towards Kalgoorlie and having flown south over many salt lakes and breath-taking landscapes they spend the first night of this leg of the adventure in that city next to Australia's largest open-pit gold mine. Handiflight around the world is not only flying but also meeting, sharing and making new friends. Pierre Martins joined them in Renmark and was able to make a few legs with Eric Dabas. In Deliquin they we were received by the Lions Club and welcomed by David McPherson. 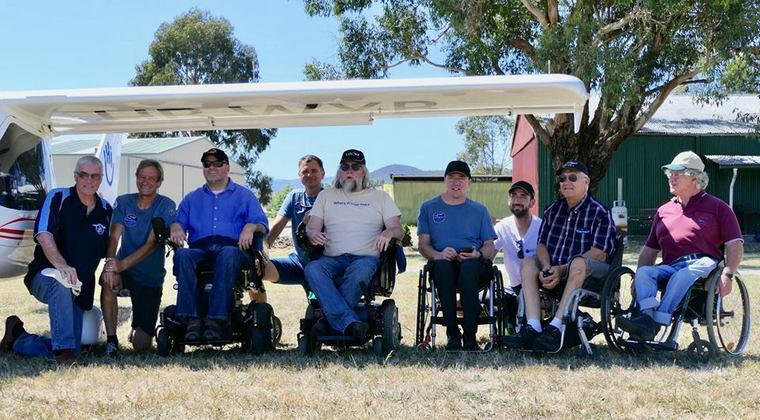 Inn Bendigo it was Glenn Bannister who met them and in Coldstream Robert Rickards, Wheelies With Wings President who introduced them to Dave Jacka, a quadriplegic pilot. 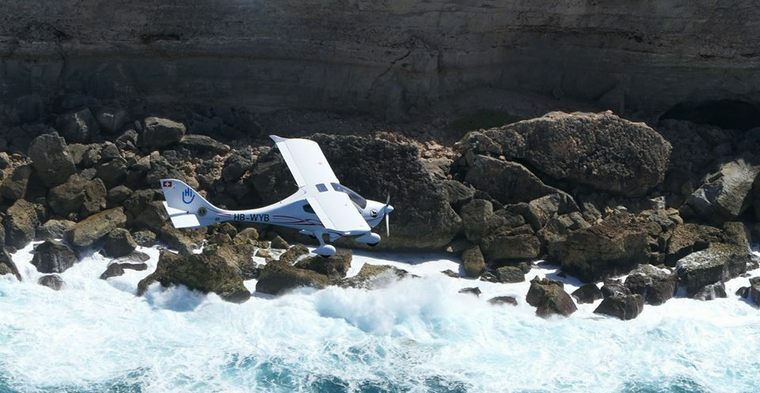 Flying over the beaches and cliffs that border South Australia for several hundred kilometres is a memory that we will never forget. Landing on the ground runway of a truck stop was not easy with the turbulence, but Eric did it brilliantly. From Wollongong they flew north to Maitland via Sydney Harbour. In Maitland, Cliff, Glenn and Eric were interviewed for the ABC TV program called "7.30". They were also lucky to have the expertise of two Rotax specialists that did an inspection on the engines. Departing from Maitland they flew to Port Macquerie where they prepared for and waited for a suitable weather forecast before crossing to New Zealand. 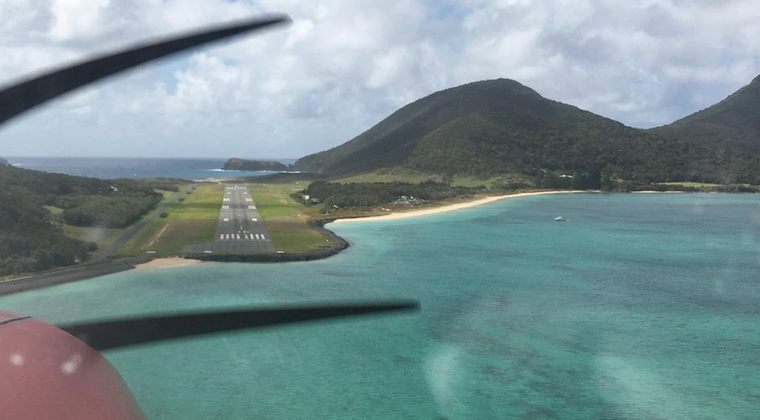 The weather eventually cleared and they left the Australian continent for Lord Howe, a very well preserved mythical island about 600 km off the coast of Australia. 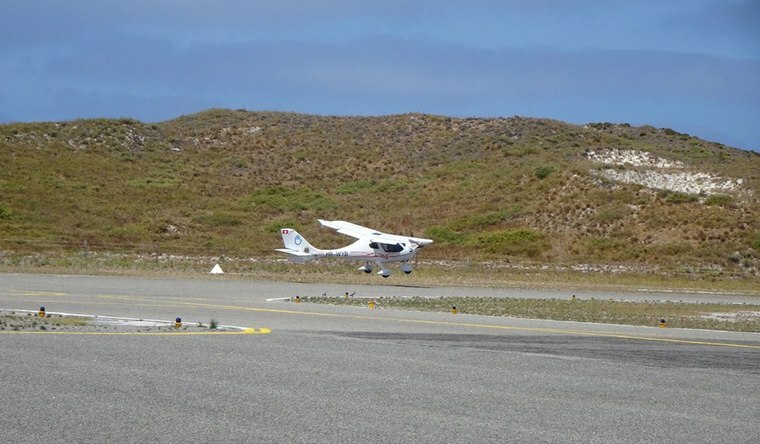 Landing on this island is never easy even for twin-engine aircraft due to severe turbulence and a strong crosswind. But Eric managed his approach and landing perfectly. 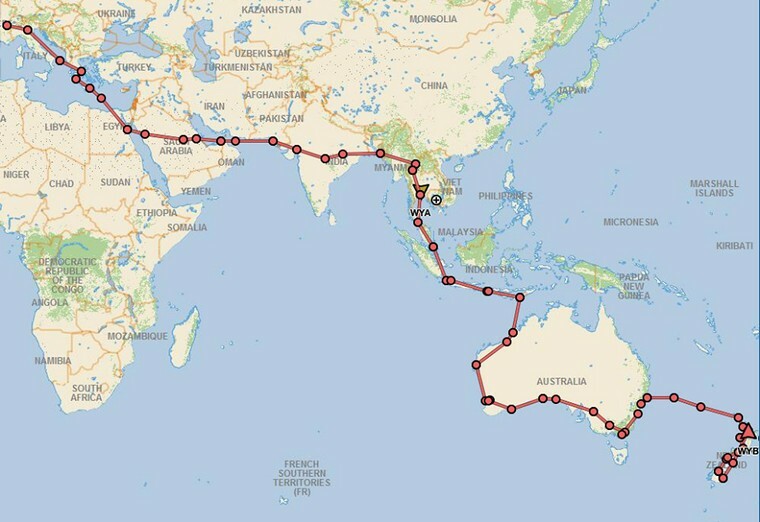 Next was an 8-hours flight to Kerikeri in New Zealand, the longest leg since their departure. From a sleepy Kerikeri airport they headed straight up the coast with the sea on their left. 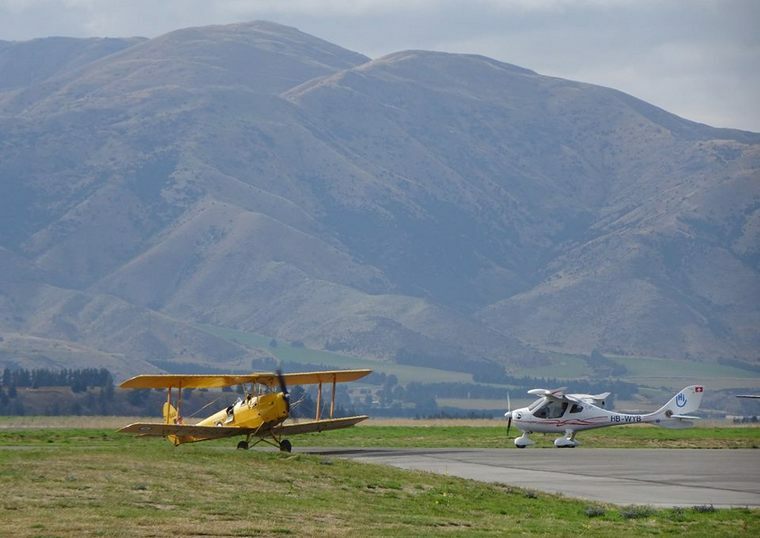 They will be following this route until they reach Auckland but before then they landed at the Ardmore Gliding club field where they had a quick interview with NZ TV news before checking out the club's facilities and gliders. 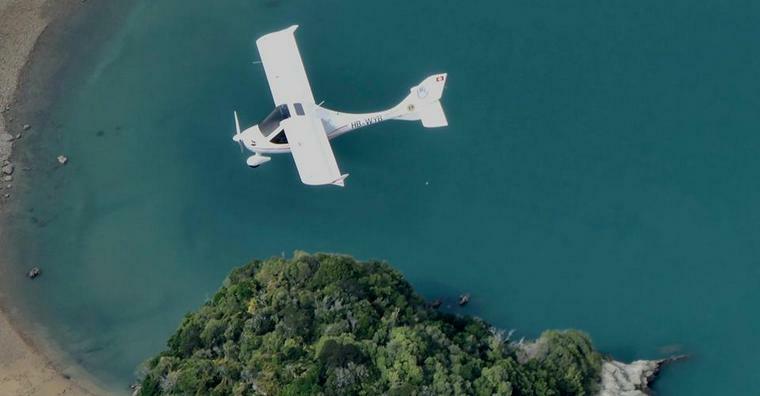 Tauranga to Omaka was just names on a map and a route that they had never dreamed that they would fly. Although the weather was overcast the scenery did not disappoint. 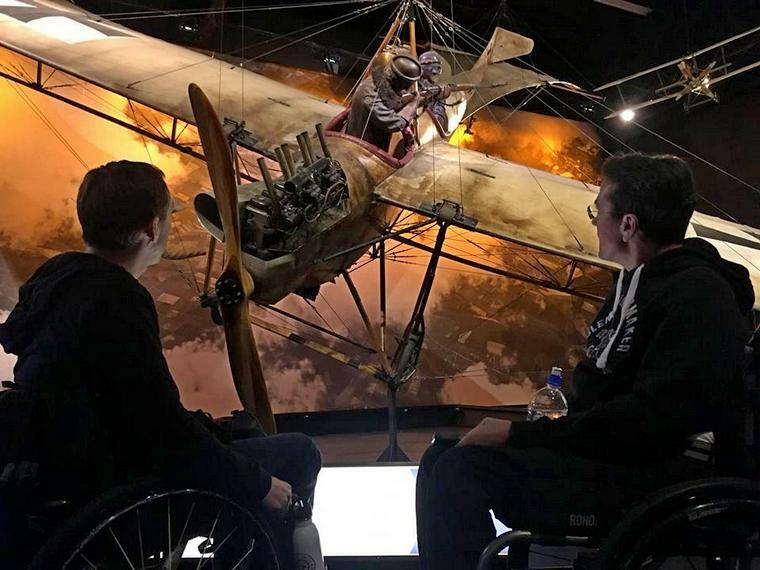 The Omaka Aviation Heritage Centre in Omaka is a must visit when in the city and the Handiflighters did just that and like so many before them have never seen such captivating Museum. The Handiflight around the world is not only flying but also meeting, sharing, inspiring, making new friends. In Christchurch they were invited by NZ Spinal Trust to talk about their journey and their objectives. Rangiora to Dunedin heading South along the coast as the clouds were very low above the mainland was another fantastic flight at the end of which they received the warmest welcome from the local Lions Club. 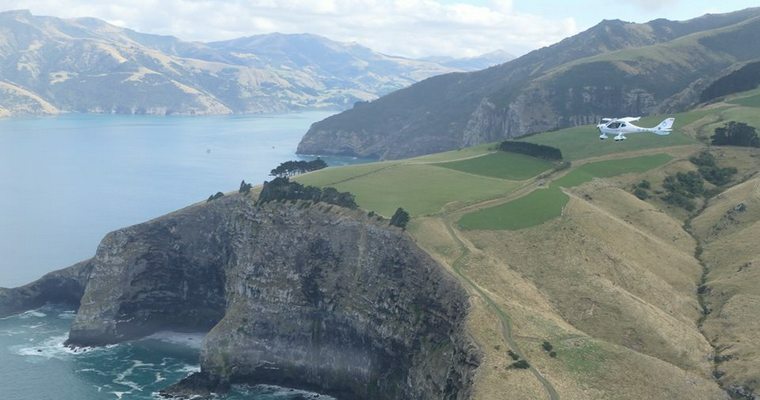 Dunedin to Wanaka was another leg that took over some of New Zeeland's spectacular scenery. Alex Krol, who is returning to England, has given his place to Lee Rowe who now joined flew with Eric Dabas for the next leg, the flight to Auckland. For Lee, a former marine injured on duty in Brunei, his first CTLS flight was also his first mountain flight. 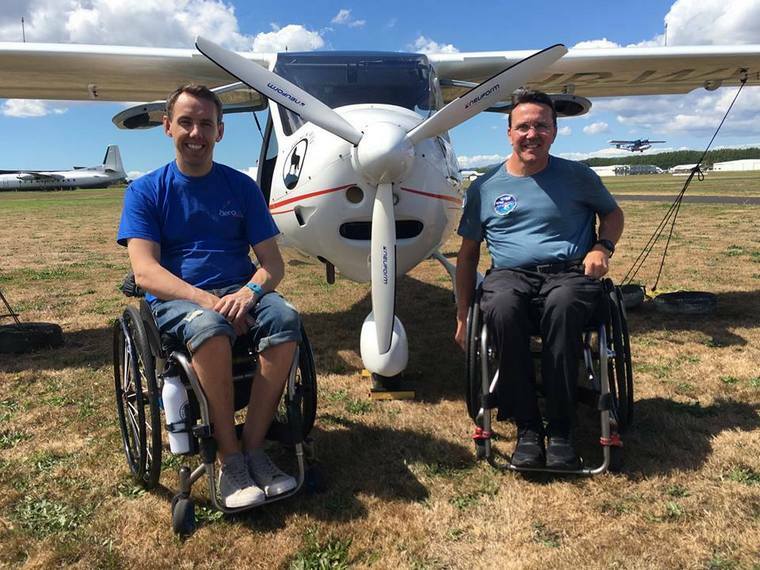 After being stuck in Wanaka for 3 days due to very bad weather on the west coast which caused flooding, Eric Dabas and Lee Rowe were finally able to cross the New Zealand Alps for the flight to Hokitika. Even if the mountains are lower than in Switzerland, the glaciers are magnificent and the mountains very changing. Following the unspoilt wilderness of the South Island's West Coast they flew over the delightful Marlborough Sounds to arrive back in the North Island at Paraparaumu. The next legs took them to Paraparaumu, New Plymouth and Tauranga. Following two attempts on successive days to view Taranaki volcano it was apparent the mountain did not want to unveil itself to us this time. Moving on to the Lake Taupo region Eric Dabas and Lee Rowe arrived as the clouds were clearing and New Zealand once again offering them spectacular views of the breath taking landscape. The encounters in the rehabilitation centres of the countries they visited are one of the milestones and main reason why this epic journey was undertaken. 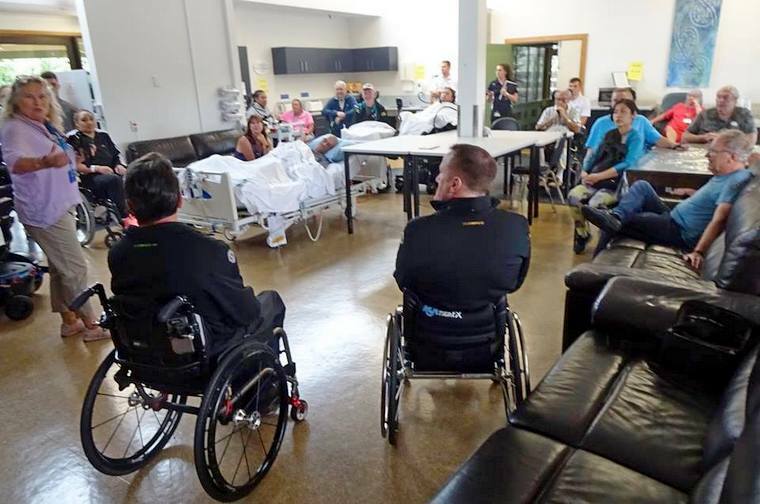 This was again the case in the Auckland Spinal Rehabilitation Unit (NZ Spinal Trust). Meeting, sharing, inspiring, daring is at the heart of their journey and they hope to be able to continue to spread their message of inclusion around the world and contribute changing perception of disability. When they took off from Switzerland four months ago, reaching Australia was their dream. The next goal they set themselves was to allow other disabled pilots - Pierre Martins, Alex Krol and Lee Rowe - to fly with Eric Dabas right across this continent and meet more disabled pilots: Robert Rickards, David McPherson, Glenn Bannister, Cliff Princehorn and Dave Jacka in Australia, and then Barry Cardno, Tony Christiansen and Ross Millichamp in New Zealand. Several programmes on Australian and New Zealand national channels, as well as many newspaper articles, have helped convey the message of inclusion of people with disabilities, and helped to change people's perceptions of disability. In many countries, visits to rehabilitation centres have allowed them to meet, share, exchange, inspire and give hope to people who have recently become disabled. 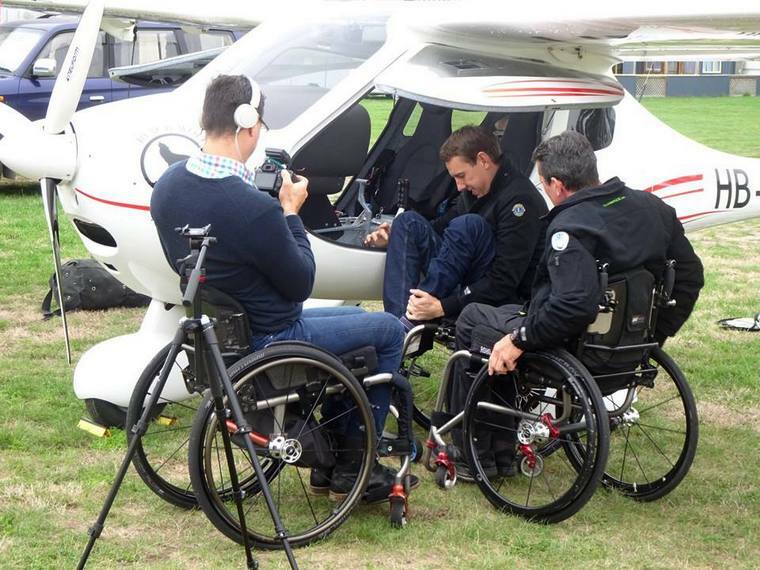 They now have to take a break of three months in New Zealand because Eric could not get an extension of his leave, and no other disabled pilot who has the knowledge and experience that are vital for tackling the flights that lie ahead is available before July. What's more, they haven't yet found a new sponsor to allow us to continue the journey. If you know of a company that would like to become a partner and have its logo on their plane, please let them know through the contact page at https://handiflight.com/. Another important goal is to raise funds for Humanity & Inclusion (https://handiflight.com/en/support-hi/) which finances countless projects around the world. They have set themselves the goal of raising 80'000 Swiss Francs, corresponding to the 80'000 km of their trip. Currently, they have flown 30'000 km and collected about 10'000 US$.